There are a lot of lists on the internet these days about things that you should NEVER feed to your cat. The implication is that if the cat even sees the label, he will give up his remaining lives and immediately fall dead. As usual there is a great deal of mis-information out there. I checked out a number of these pages and tried to find evidence on the claimed toxic effects. This is what I found. I've added links to scientific articles and credible authorities when I could find them. Why are cats extra sensitive to poisons? Because cats lack, or produce only a very small amount of a liver enzyme called UGT1A6, they are very sensitive to poisoning. This enzyme breaks down unwanted substances and toxins and is present in many other animals including humans. The absence of this enzyme causes poisons to accumulate faster than the cat can break them down. One factor works to the cat's advantage, for the most part, cats are fussy and unlike dogs, rarely just eat anything and everything. There are several symptoms that are often present in poisoning: nausea, odd behaviour, unsteady walk, shaking, pawing at the mouth, drooling, weakness, anemia, diarrhea and seizures. Excessive drinking or peeing are other possible symptoms of poisoning. If you suspect poisoning get help right away, waiting can allow the poison to be absorbed and when symptoms start appearing damage might already have been done. I have a page about Poisonous plants to cats. Onion and garlic (as well as leeks, chives, and others of the same family) are one of the most common cause of poisoning in cats and dogs. The poisoning is the results of oxidative damage to the red blood cells caused by a group of compounds called organosulphides, in particular alkylcysteine sulfoxide. Many of these sulfur containing substances are easily absorbed by the digestive system. Once inside the body they are then transformed to highly active oxidizing agents. Cat hemoglobin (the red stuff of blood, that carries oxygen) is very sensitive to oxydation. Oxidation of the hemoglobin can cause the red blood cells to rupture. Damaged red blood cells cannot carry oxygen. Anemia is the result. When anemia is present, the cells and organs cannot get enough oxygen to function and this leads to organ damage and sometimes failure. As if that was not enough, Allicin and ajoene, are active components in garlic. These substances are strong cardiac and smooth muscle relaxants, vasodilators. They bring down blood pressure, making the effects of the anemia even worse. Fresh garlic preparation can also cause direct damage to mucus membrane of the digestive track, causing diarrhea and pain. Garlic is 4 to 5 times more poisonous than onions, chives and other members of the onion family. 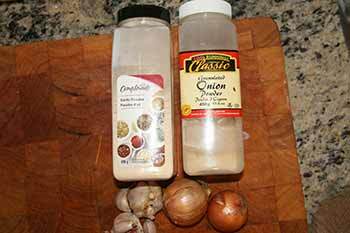 Garlic and onion powder are the worst offenders because the poisons are concentrated. Often garlic or onion powder is just another ingredient in a product and a person does not even know they are feeding their animal garlic or onion. Garlic poisoning is sometimes due to the well meaning use of garlic as a flea or tick repellent. It does not work. It is widely recommended on the web by herbal sellers. THERE IS NO REAL EVIDENCE THAT GARLIC IS A GOOD CONTROL FOR FLEAS OR TICKS. In particular essential oil is sold as a flea repellent. It should not be used on animals, ever. It has been tested many times and has not been shown effective. Never give garlic pills to cats or dogs. Many cases of garlic and onion poisoning results from the cat eating human food that contains these. Not many cats will go and eat a clove of garlic, but most will lick up a bowl of gravy. Garlic, particularly in powdered form can be very concentrated this way. Cooking does not eliminate the risk. There is evidence than less than a teaspoon of cooked liver and onions has caused clinical illness in cats. Cats and dogs are fond of salt and will lick potato chips and other human treats. That's not terrible if the chips are plain flavoured but many coatings also contain onions, chives, or garlic. -The pet Autority has a good article from a toxicologist Vet. Dr. Sharon Gwaltney-Brant DVM, PhD. -Precis of a scientific paper showing garlic/chive poisoning after a dog ate Chinese dumplings containing green onions. Chocolate including Cocoa, poisoning is a common cause of poisoning in dogs. It is more toxic for cats but cats are not as likely to eat chocolate as dogs are. Chocolate contains 2 substances which are both poisonous, a methylxanthines called theobromine, and caffeine. While these are safe for humans, they cause vomiting, diarrhea, hyperactivity, tremors, seizures, racing and irregular heart beat, sometimes death in many animals including dogs and Cats. Link to the Merk Veterinary Manual. It gives details of the actual damage done by caffeine and theobromine. Theobromine is also found in tea, cola, yerba Mate, Guarana and açai berries. Theobromine and Caffeine are similar chemically and are often found together. They act in similar ways as stimulants on the central nervous system and on the heart, circulation and respiration. This stimulant effect is one of the reasons humans like them so much. Repeated small doses of chocolates, such as a dog might get as a treat, can cause heart damage and eventually lead to heart problems. Caffeine and theobromine act much the same way but theobromine is more dangerous. Chocolate and caffeine are often ingredients in pastries, sauces and drinks, and are not always very obvious. White chocolate does not contain very much toxic material however. Science direct has articles on theobromine. Here are precis. Poisoning is quite dose dependent and a couple of chocolate chips are not likely to kill your dog though. Lethal doses of theobromine for a cat can be as small as 100-200 mg per kilogram of the cat's weight. The dose of caffeine is listed as 150 mg per kg weight. Alcohol is a toxin and even small amounts can cause vomiting, diarrhea, difficulty breathing, coma or death. Few people will put a bowl of alcohol for their cats and dogs but they sometimes like to drink beer and can sneak up to an unsuspecting human and steal a drink from unguarded glasses. 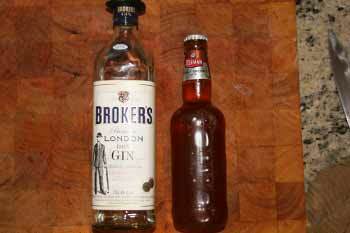 As little as a tablespoon of Alcohol can cause severe liver and brain damage. Cats can be poisoned by absorption through the skin as well as from ingestion. Many products contain alcohol and it is also present in fermenting foods such as bread dough or old apples in the compost. Because cats don't have the liver enzymes required to metabolize many toxins they cannot deal with aspirin and other Non Steroidal Anti-Inflamatory drugs such as aspirin, ibuprofen, naproxen, ketoprofen, and many others. 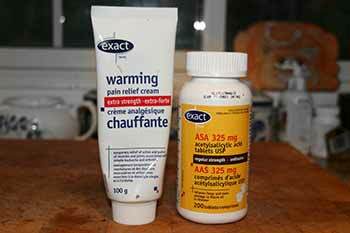 Aspirin causes ulceration of the stomach and small intestines. This causes internal bleeding and hemorrhage. The central nervous system is also affected. There have been reports of cats dying after being in contact with humans using flurbiprofen rub. So if you are using a rub on pain medication, don't let the cats or dogs lick you and make sure you wash your hands before touching your animals. If it gets on the cat, clean it very thoroughly. ThePetAuthority has a good page on the use and toxicity of NSAID, non-steroid anti-inflammatory drugs such as aspirin and ibuprofen. Pet MD has an article on aspirin poisoning in cats. Never give a cat a medicine intended for humans or dogs. Grapes, raisins and currants can cause acute kidney failure in dogs and there is evidence that they may cause kidney failure in cats and ferrets as well. Not all dogs cats and ferrets are affected though. A very small dose can trigger a huge response. The mechanism for the toxic reaction is not well understood but it is known that peeling the grape is not helpful. 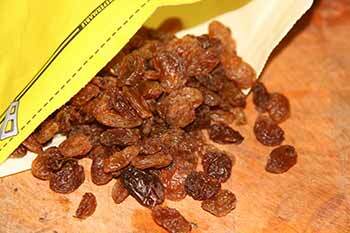 It's difficult to identify the exact reason raisins are dangerous because not all dogs and cats are sensitive, maybe not all grapes and raisins are toxic, or maybe it's another reason. It could be a combination of factors such as something in the grape plus a spray used in the farm. We don't know. Grapes, raisins and currents are often used in cooking, they can be found in butter tarts, muffins, carrot cake and other pastries, granola bars and fruit jellies. Although grape juice has not yet been identified as toxic it is a common sweetener for "no sugar added" products. Read the labels. Here is a link to the American Kennel Club page on grapes for dogs. These foods are not deadly to cats but not a good idea. It's different for dogs. 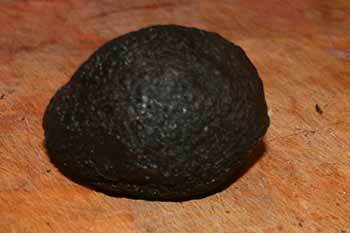 Avocado is very toxic to many species including birds, fish, rabbits, goats, horses and cattle. Not much evidence exists that links avocado poisoning to dogs and cats. The chemical responsible is persin. Although there are many dire warnings on the internet, against avocado poisoning for dogs and cats, it is generally not considered very toxic for them and true cases of poisoning are rarely seen. It's another story for birds though. According to the Pet Poison helpline there is more danger from foreign body blockage from the skin and seed than from poisoning for cats and dogs. You still can't feed your guacamole to the dog or cat because there is almost always onion/chives/garlic either in the guac or on the chips, and these things are very poisonous. Although there is an abundance of warnings against feeding macadamia nuts to cats, there is no evidence that it is toxic to them. For dogs it's another story and just a few nuts can cause symptoms. It is not a deadly poison and most cases of poisoning are not fatal. Macadamia nuts affect nerve function in particular. This mean that the dog might have trouble walking, show joint stiffness, tremors, increase body temperature and be quite lethargic. Raw eggs is another food that makes internet writers twitch. Again it's more grey than black and white. Feeding raw eggs is discouraged for several reasons. Possibly the most convincing argument is that modern eggs are often contaminated with salmonella, E. coli and Campylobacter bacteria which can make cats, dogs and humans sick. No argument here. In Toronto (maybe all of Canada) it is illegal to serve raw egg as a dipping sauce in a restaurant, for this reason. Cooking at a sufficient temperature kills the bacteria. The second argument is that raw white of egg contains a protein that binds to Vitamin B7, Biotin, and makes it un-available thus resulting in a vitamin B7 deficiency. This protein, is called avidin. Cooking destroys this protein and makes the B7 available. It's interesting that eggs are often linked to allergic reactions in cats, possibly a more convincing reason to avoid eggs for your cat. Bottom line, moderation. Feed your cat eggs if you want but not a lot. Cooked eggs are better. An egg every couple weeks or more, is fine, an egg every day is way too much. Would a person eat 10 eggs a day? that's what serving an egg a day equals to a cat. A human weighs about 10 times more than a cat. 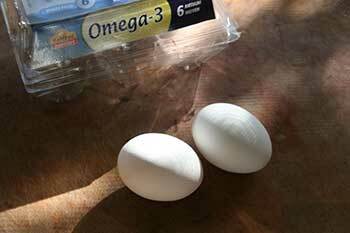 Raw egg white, where the avidin is found is not poisonous per se, but over time served regularly, will cause vitamin deficiencies in whatever animal (or human) eats it. It's particularly true of growing kittens whose main source of protein is raw eggs. Raw fish is not in itself toxic to animals but there are certain problems associated with feeding it to your cat. Most cats love raw fish. It is more nutritious than cooked and semi-wild cats often supplement their diets with fish when they can. Cooked fish has lost some nutrients which are destroyed by cooking. A raw fish diet can lead to thiamine deficiency in cats because the fish contains an enzyme that breaks down thiamine, B1 vitamin. Thiaminase. Cooking destroys the enzyme and so cooked fish does not cause vitamin B1 deficiency. This means that a cat should not eat only raw fish, as this would result in various deficiencies. Again moderation and variety in the diet are the proper way to go. Raw fish contains parasites that cats, dogs and sushi loving humans can contract. Some of these can be killed by freezing at low temperature (lower than regular freezers reach), for a few weeks. Some of the worms are more resistant than others and do survive freezing. Here is a link to an article about the risks involved in eating raw seafood. It's geared to humans but some of these parasites will infects dogs and cats. Another problem associated with eating raw fish is the potential of bacterial contamination. Adequate cooking kills the bacteria but raw seafood, frozen or not, can be contaminated. Freezing does not kill bacteria, it only slows them down. A fourth problem associated with feeding fish based diet, raw or cooked, is heavy metal contamination. Mercury is present in just about all fish offered and current recommendations for eating fish suggest no more than 1-2 servings a week for humans and often much less particularly of the larger fish, or of fish caught in more contaminated waters. A surprising fact is that organically farmed fish can contain greater quantities of contaminants including mercury, than other farmed fish. The reason for this is that one of the requirement in Europe, for organically grown fish, is that their diet contain naturally caught wild fish. This fish meal made from wild fish, usually contains mercury and other contaminants which are passed down to the farmed fish. Farmed fish can be fed alternative diets from which mercury has been removed, or is lower in mercury to start. Here is a link from the Government of Canada about mercury in fish. It is geared to humans but mercury poisoning is a problem for pets as well. It might be more of a problem because high mercury species could be used without the consumer being able to tell. With the increasing cost of meat, pet food manufacturing are increasing their use of fish with the result that your cat might be exposed to more mercury than you think. Fish based food which is otherwise well formulated and a good nutritious diet, fed everyday, could be a problem for your cat, leading to heavy metal accumulation. Fish is not bad for your cat but should be fed in moderation. It should be cooked preferably, If you intend to feed raw fish to your cat it should be commercially frozen for a few weeks to reduce the risk of parasite and it should be from a reliable source to insure it is not contaminated with bacteria. It should not be the only source of protein but can be part of a balanced diet. Again moderation is the key word. Various lists of "what not to feed your cat", dog, and other pets, go around the internet regularly. Liver is often one of the "bad" foods because it can lead to vitamin A toxicity. In moderate amount, liver is a perfectly fine food for cats. Some recommendations suggest no more than 3.5 ounces a week. In the cases where liver makes up the bulk of a pet's food, then vitamin A toxicity is a problem. This has been observed in farm conditions or in slaughter houses, where the resident cats ate a great amount of liver. Since cats and dogs like liver usually, they will often eat more than what is good for them given the chance. Another problem associated with liver is that toxins and heavy metals can accumulate in the liver if the animal has been exposed to them. The liver processes and disposes of antibiotic and pesticide residue and these can accumulate in the liver. Eating liver exposes the cat, dog, or human eating a lot of liver, to these residual toxins and heavy metals such as mercury, often pesticides or medicine are the culprit. 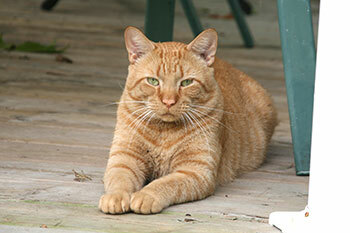 Your cat can benefit from eating nutrient rich liver but MODERATION is the keyword. Never feed your dog or cat liver and onions though. 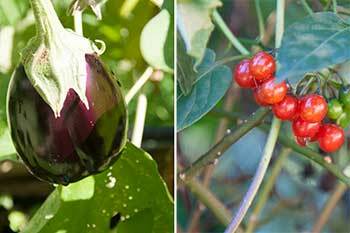 The glycoalkaloid Solanine is found in many plants of the nightshade family including potatoes, tomatoes, aubergine particularly leaves, nightshade, okra fruit and leaves. In most case the concentration is quite low but occasionally, as in the case of green potatoes or ones that have sprouted, the concentration can be quite high. Leaves and peels of these plants have higher concentration than the fruit. Nightshade fruit is quite lovely and birds will readily eat them. It is poisonous for humans and animals though. Unless your cat is particularly interested in green potato peels or tomato leaves then the likelihood that he will ingest enough to do damage is small. Some dogs really like tomatoes and can eat enough to get sick. Cooked green potatoes or other vegetables, might be very interesting to dogs and cats, particularly if they are also seasoned with butter. 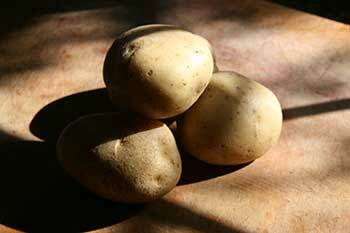 Article from the Smithsonian about several cases of Solanine poisoning from eating old potatoes. 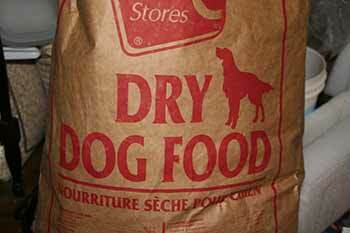 Dog food is in this list because people sometimes try to economize by feeding their cat with less expensive dog food. Cats are curious and will sample from the dog's dish. Dog food is not toxic to cats (unless fortified with medication) but it is deficient in some nutrients. One example is Taurine which is essential to cats and they cannot produce it. It must come from their diet. Dog food is not supplemented with taurine since dogs can synthesize it. Cats are much more prone to urinary blockage than dogs, and so, cat food manufacturer aim to reduce the ash content of their food. What that means is that the level of minerals, mostly magnesium, that cause the blockage is reduced in cat food. Dogs don't have so much of a problem so the ash content can safely be higher for them. Feeding a cat, dog food, exposes them to a greater risk of urinary blockage. Cats are obligate carnivores. They must have mostly meat in their diet. Cats have difficulty digesting vegetable matter in any quantity. Dogs are omnivores and can do very well on a high vegetable diet. Commercial dog food often contains a high quantity of vegetable sourced components. These can be difficult for a cat to digest and absorb. High vegetable diet in cats has been linked to increased allergic reactions and inflammation. An occasional snack of stolen dog food is fine for the cat but dog food is not suitable as a regular diet. Grown cats, like many other adult mammals, lose the ability to digest milk products and become lactose intolerant. Like humans this can vary in intensity. Vomiting, diarrhea and pain and cramping are symptoms. 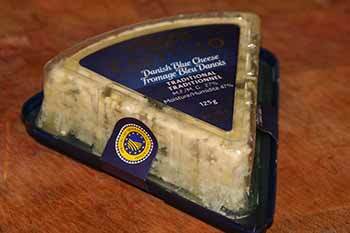 Fermented dairy products such as cheeses are less likely to cause upset. Although not strictly toxic it can cause a great deal of discomfort if the animal is lactose intolerant. Although the immediate causes of feline pancreatitis have not been identified a fatty diet has been linked to pancreatitis (an inflamation of the pancreas)in cats. This is sometimes associated with fatty liver disease and diabetes..
Cat World article on Pancreatitis in cats. One fatty meal will not cause pancreatitis, although it might trigger an impending attack, but ongoing fatty diet, and obesity, puts the cat in a more vulnerable position. 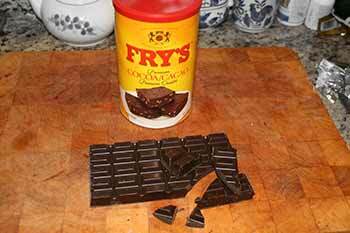 Some chocolates also contain a great deal of fat and have been shown to be a problem. Chocolate should not be fed to cats anyway. Cats are particularly sensitive to bad diets. As omnivores we, along with dogs, pigs, bears and many other animals, can adapt to many different types of food. Cats however are OBLIGATE CARNIVORES and need a mostly meat diet to thrive. Feeding them anything else can only be met with only moderate success and can cause many health problems. Xylitol is a sweetener used in many low calorie and diabetic foods. It finds it's way in toothpaste, candy and chewing gum and diabetic sweeteners. It has the advantage of having fewer calories than sugar, of not causing tool decay, and in humans, of not needing insulin for it's digestion. It has also been shown to reduce the risk of ear infections. At recommended doses it is safe for humans. Web MD page or xylitol. A recent study (2018) on Xylitol toxycity in cats. reported no significant problem except at very high dosage. Their conclusion "Based on our results, xylitol did not induce toxic effects on cats." Pet Poison Helpline at 1-855-213-6680 there is a fee. Merck Manuals Pet health edition Plants Poisonous to animals. Cat Perch by Art of Paws | Cat Shelf Cat Bed with Curved Cat Hammock Design | Elegant Wood Wall-Mounted Cat Furniture | A Gift your cat will love! This article is for entertainment and information. I do not claim that it is a complete list of toxic foods. I do not claim to be an expert. This page is not intended as a replacement for professional medical help. If your pet has eaten something that might be poisonous or if he is acting unwell or strange, get help immediately.